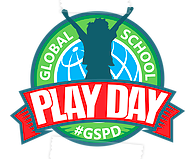 Rowland Elementary is participating in the Global School Day on Wednesday, February 6. This is an annual, world wide, one day event where students have unstructured play. In 2018, over 385,000 students from 58 nations participated. Unstructured play promotes cognitive development while supporting physical development as well as social and emotional development.